London is amazing for when you really can’t be bothered to cook, but also a little dangerous on the bank balance! There are so many decent restaurants around that eating out is almost a bit too easy. Luckily there are also some really reasonably priced places, you just need to know where to find them! I had wanted to try Honest Burger for ages but just hadn’t got round to it. Located in the heart of Camden, a tourist attraction of the weird and wonderful since the punk sub-culture of the 80s, you would be forgiven for thinking that somewhere that attracts so many tourists may only have expensive food, but this isn’t the case and Honest Burger is a prime example of that. 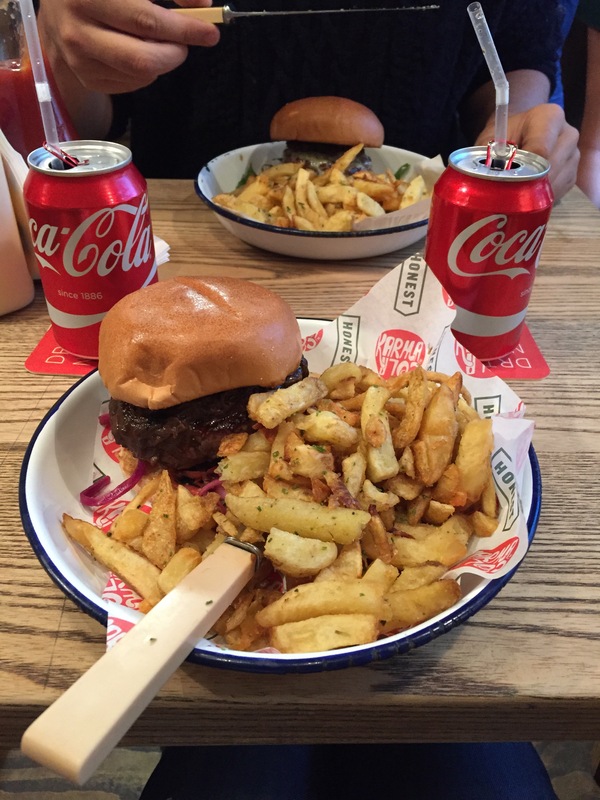 Honest Burgers’ ethos is to be, well, honest! Everything about their menu is straight forward. There are about five different varieties of excellent quality burgers (chicken, beef and veggie) and each comes served with really tasty fries. Drinks come at an extra cost (alcoholic and non alcoholic) but most importantly of all, none of it will break the bank! For two (with me picking the most expensive burger on the menu), our meal came to £23. That’s for two gourmet style burgers, fries and a drink, in a restaurant, not take away. We were also thrilled to see that a tip wasn’t automatically added on! Don’t get me wrong, I like tipping, but only when service has been decent. Since restaurants have started adding tips on to bills automatically, I’m sure service has gone down hill, yet in order to not pay a tip I have to request for it to be removed. This then creates an awkward situation for all involved and it isn’t a nice end to an evening out. I’m not stingy – I will tip, but only when deserved. Anyway…I digress! The point is that we were thrilled to have the choice of tipping and with such excellent service and tasty food, we did tip…and generously at that. 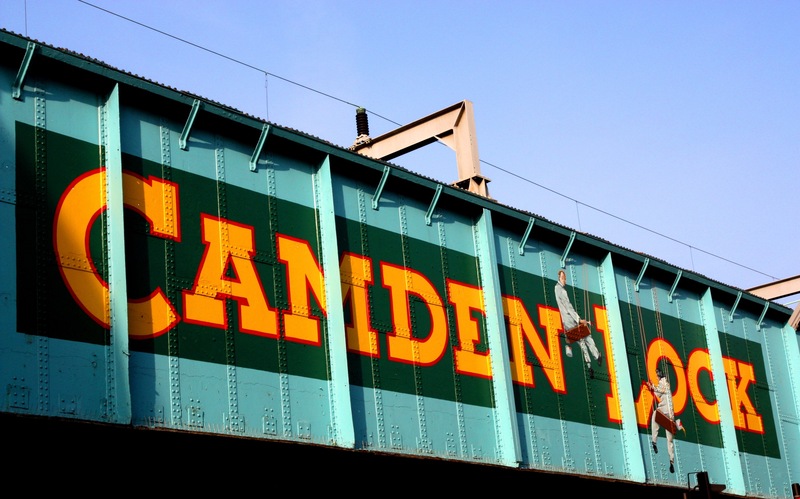 If you are around and about London this summer, why not head on up to Camden Town and try out an Honest Burger. I’m sure you won’t be dissapointed!